After years of hype, Phil Hughes has finally hit his low as a fantasy baseball prospect. He has had little if any value in even the deepest of leagues. Hughes is now claimingto be ready for 2009 but we've heard similar declarations before. beyond the occasional flash of talent he has done nothing for fantasy owners. Those flashes... He seems to end every season on a roll. He dominated the Arizona Fall League. 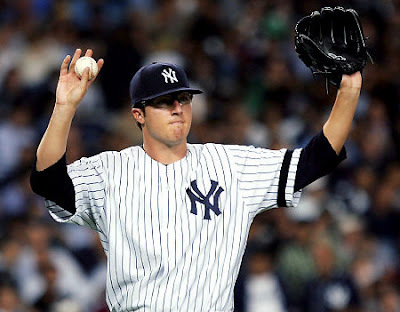 In the AFL he loked exactly like the ace that the Yankees have been counting on in their rotation. Remember when he was ranked higher than Joba Chamberlain? Tell me in the comments if you would draft him in your leagues in 2009. I agree with everything you said. I actually eagerly anticipate other owners in my league giving up on talented prospects. That's when I get to practice my vulturous swoop!